See Chris Maltas Top Ten ‘Wholesale Tips’. Video Tip 8 will show you how to figure out, ahead of time, whether or not you can make money with a product. 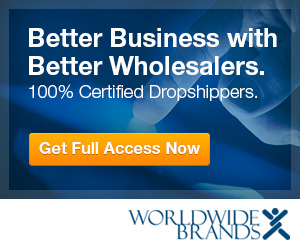 , Amazon, Yahoo!, or your own website, it’s critical to know this in advance, so you can source the right products from your wholesale suppliers. You’ll see what factors impact your wholesale products’ profit margins, and what kind of profit margins you should expect in ecommerce – particularly as a home business or small internet merchant. You’ll also find out the common (and costly) mistake that new ecommerce entrepreneurs often make in calculating their profit margins, and learn the RIGHT way to identify if a product will be worth carrying.